Every year, thousands of young musicians and hipsters come to Austin for South by Southwest or Austin City Limits Music Festival...and some of them fall in love with the place. Sometimes, they even go home, pack up the guitar, and move to Central Texas. While you may be less prone to spontaneous relocation, a two-day trip can give you a sense of what all the fuss is about. A hearty breakfast at Trudy's Texas Star will prepare you for adventures ahead. A plate of eggy deliciousness, known as "migas," is their signature dish. Mix scrambled eggs, sliced-up corn tortillas, three kinds of cheese, serrano peppers and other secret ingredients that create Tex-Mex heaven. For those who aren't fond of spicy food in the morning, they have excellent pancakes and Belgian waffles, as well. The water in Barton Springs swimming pool hovers around 68 degrees year-round, which means that it feels cool in the heat of summer. It feels relatively warm in winter, though, and a few regulars swim there every morning, regardless of the weather. If you're more into serious relaxation than exercise, there's a part of the three-acre pool dedicated to floats. On the hillsides surrounding the pool, you will receive your first lesson in Austin culture. There's usually a group of 20-somethings kicking around a hacky sack ball, a 60-ish man doing yoga, and (parents beware) a woman of indeterminate age without her top. Occasionally, a drum circle forms at the top of the hill. Guitars are almost as common as smartphones. On summer days when the temperature can soar above 100 degrees, it just seems silly to go anywhere else. For lunch, skip the crowded eateries along Restaurant Row on Barton Springs Road, and head to Sandy's hamburger stand (603 Barton Springs Road), which is just a few blocks from the pool. Nothing fancy here, but they've been making delicious hamburgers, fries and frozen custard for more than 30 years. An evening stroll along South Congress (aka SoCo) offers a glimpse of Austin's odd mix of old and new, traditional and contemporary, freak and frat boy. Gaze across the broad avenue at the American Apparel shop, and on the side of the building, you can see a simple sign that says "Guns." Though the shop has changed hands many times over the years, the gun sign remains, a nod to the building's origins as a gun store. Similarly, the front of Guero's restaurant still displays faded type revealing the building's original purpose: a feed store. It's a pretty good place to feed yourself too. Don't miss the tacos al pastor, tiny tacos stuffed with spicy pork, cilantro, and pineapple chunks. If you're tired of Tex-Mex, head across the street to Home Slice, which offers New York-style pizza in the small restaurant or from a take-out window. For an after-dinner drink, head to the Hotel San Jose's hidden interior patio. This peaceful hideaway is also a great people-watching spot. It's become popular among the movie-industry crowd when they're in town on a shoot. Though it's pricey compared to other nearby hotels, if you really want to spot a star, you might want to stay there. The phenomenon that is SoCo might not exist if it weren't for the Continental Club. When Steve Wertheimer bought the bar in 1987, most of the people walking by outside were hookers instead of hipsters. As the club grew into a musical mecca, with acts ranging from roots rock to country, other businesses, including antique shops, restaurants and clothing boutiques, sprang up around it. The bar is small, so get there early if you want to sit down. Some local favorites are James McMurtry (son of novelist Larry McMurtry), Jon Dee Graham and Toni Price, whose Tuesday night happy hour show draws legions of slightly fanatical fans. Besides the tasty food, the most appealing aspect of Maria's Taco Xpress is Maria herself. The bubbly, outgoing taco diva has been known to hug total strangers. Her friendly vibe is infectious, and Sunday brunches are particularly festive as she hosts an event known by locals as Hippie Church. Gospel groups perform weekly on the outdoor patio, but don't expect a reverent atmosphere...there is dancing, drinking and the occasional random display of affection. Rent a kayak at the Rowing Dock on Lady Bird Lake to work off some of that heavy food you've been eating. The lake was renamed in honor of Lady Bird Johnson a few years ago, but most locals still call it by its former name, Town Lake. The water is calm along this dammed-up stretch of the Colorado River, so no skill is required to paddle around and enjoy the scenery. Birds and turtles abound, and you'll also get a nice view of the downtown skyline from the water. To continue the mid-day health kick, head to Casa de Luz for delicious vegetarian food. The menu selections include whatever they decide to make today. Freshness is the priority here, not options. They frequently offer dishes such as miso soup, pinto bean tamales and mixed greens with walnut basil sauce. 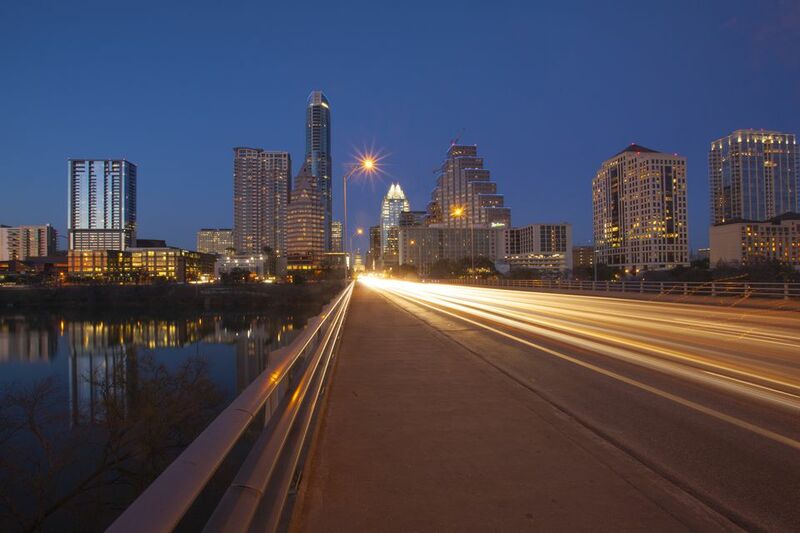 The South Congress Street bridge is home to 1.5 million Mexican free-tailed bats. The bat family apparently likes to be close...very close. By day, they squeeze into spaces in the expansion joints on the underside of the bridge. From March to September, they emerge around sundown, creating what appears to be a black river in the sky as they head east in search of bugs to eat. The exodus is nearly impossible to photograph, however; just sit back on a picnic blanket beneath the bridge and enjoy the spectacle. To bring the mid-day health kick to an abrupt end, head to Threadgill's World Headquarters for some down-home food drenched in butter. The pot roast, mashed potatoes, chicken and dumplings, fresh rolls and buttermilk pie will meet your comfort-food quota for the foreseeable future. When you're through eating, just waddle on outside for one more musical treat to round out your visit. Threadgill's outdoor stage plays host to local favorites such as Brennen Leigh and the Durden family, as well as a few touring acts.